Bishop Dental is a Dental Clinic Auckland that takes pride in providing quality dentistry at an affordable price. Our Dentist South Auckland practice is equipped with the latest technologies and our dentists are training in managing vast range of scenarios, challenges and so you can be rest assured that we will provide you the Best Emergency Dentist Auckland who will handle your issues and guarantee quality results. At Bishop Dental each patient will be managed in a welcoming and comfortable environment. Even if you have a dental emergency, then our Emergency Dentist Auckland will devote their time to you and help restore the health in your teeth. 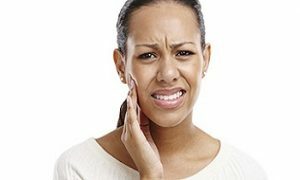 Our Emergency Dentist Auckland has the necessary experiences and skills to get out of pain and deliver quality relief of pain services when it is most needed. Contact us and visit us today and allow our team at Bishop Dental sort out your dental needs. Don’t live with toothache or broken teeth – the solutions are easy and affordable at our Best Dentist Auckland practice, Bishop Dental.